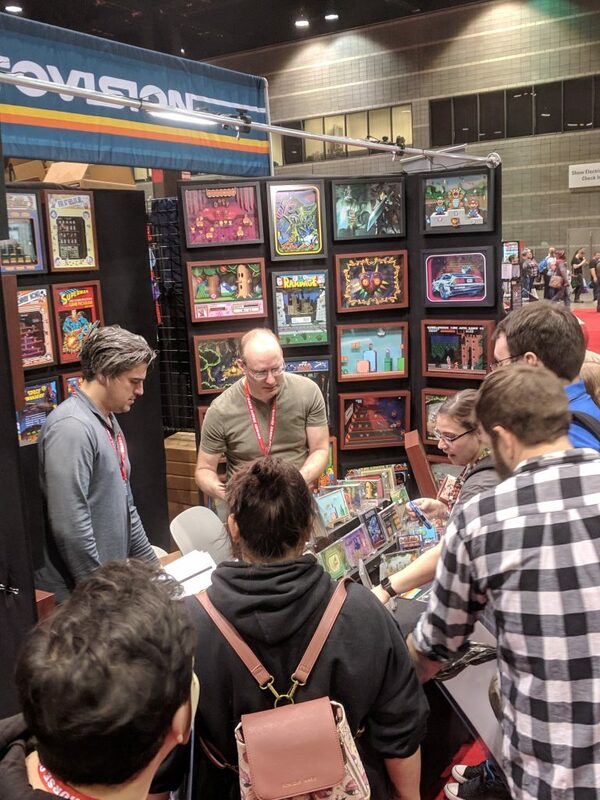 This last weekend I had the pleasure of getting to walk around C2E2 and meet all sorts of vendors and see what they have to offer. 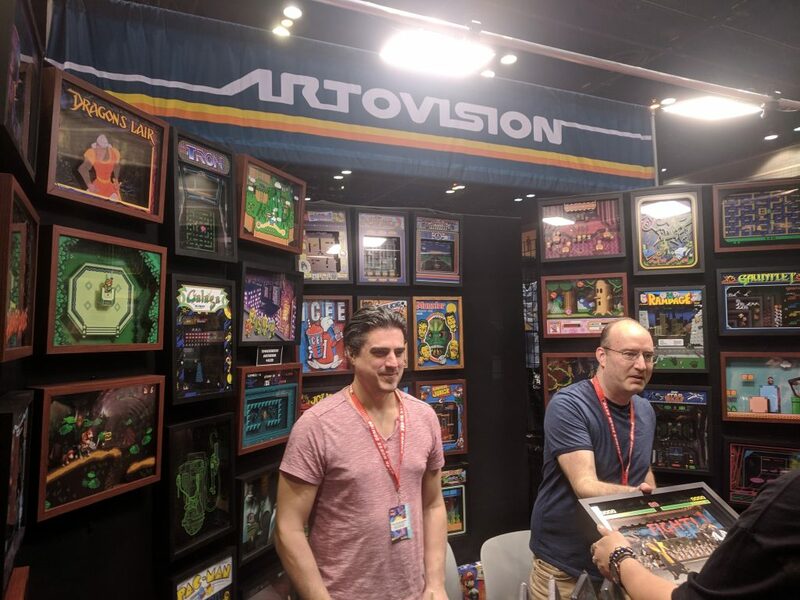 The singular booth that stood out in my experience was the guys at Artovision. 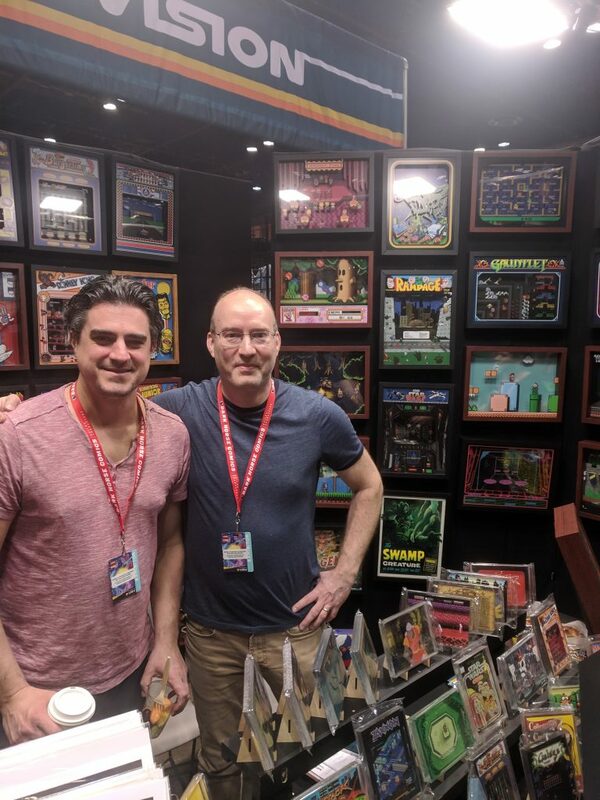 When I got to their booth, I was overwhelmed with incredible classic imagery from some of my favorite games from my childhood… Gauntlet, Rampage, Joust, Contra, Frogger… and so many more. I know I am dating myself with these references, but these are classics for a reason. And whether or not you want to admit, you love them too. The father-son Artovision team, based out of Eau Claire, have used these images to create amazing shadowbox art for both the wall and the desk. 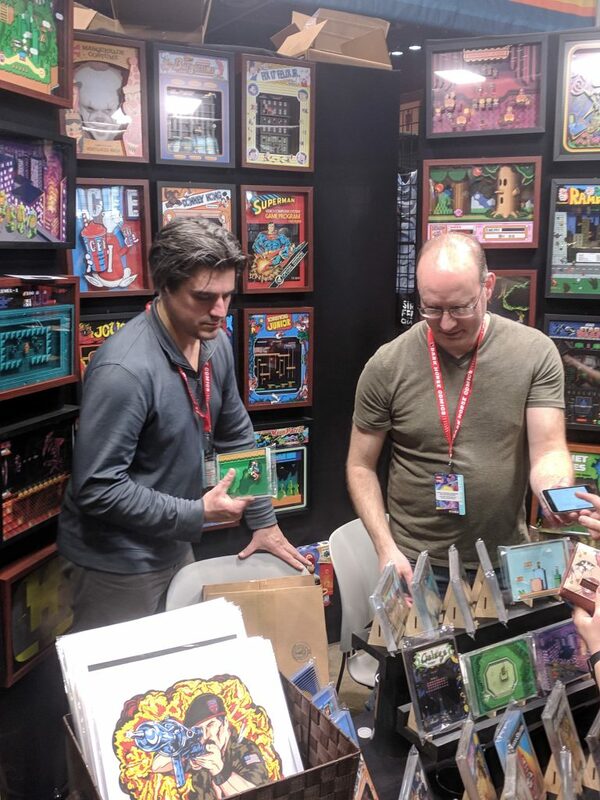 These incredible pieces are not only a must have for anyone who loves games, geek culture or vintage imagery but they also have a reasonable price point. Desktop pieces start at under $40. Please do yourself a favor and check out Artovision here. 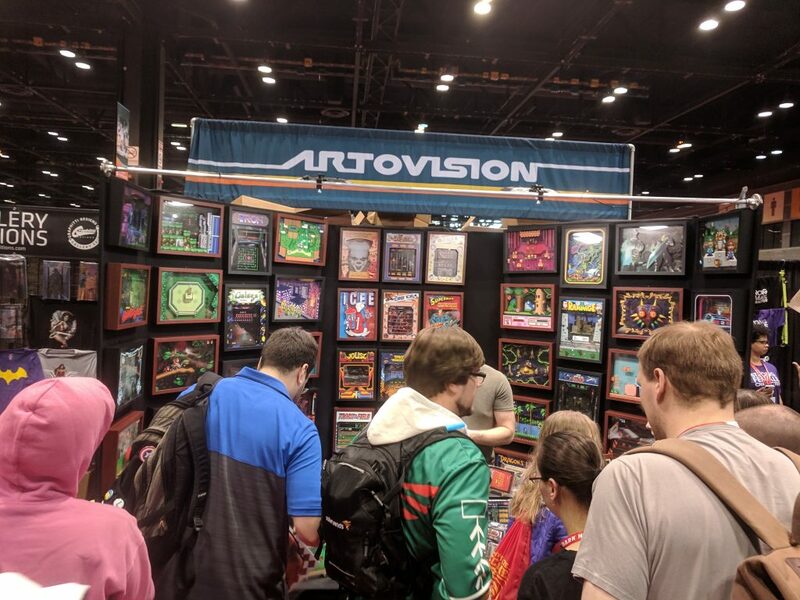 From the Artovision site – Artovision is a pioneering collectibles brand inspired by our earliest experiences playing video arcade games with a pocket full of tokens or blasting away on our Atari home video game computer system. We believe in celebrating the resurgence of this genre of pop culture and its iconic characters, stories and art by creating collectible artwork that we’ve transformed into a new dimension. We created Artovision to bring 8-Bit 2D artwork into another dimension and we proudly handcraft our products right here in Eau Claire, Wisconsin with materials sourced in the USA. At the heart of our father and son business, we feel lucky each day we’re able to share our mutual passion with enthusiastic fans and collectors around the world.